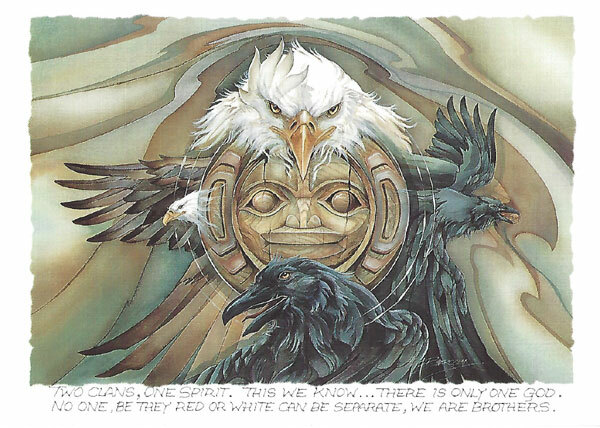 Two clans, one spirit, this we know, there is only one God. No one, be they red or white can be separate, we are brothers. This card is 5" x 7" and is blank inside with an explanation of the image on the reverse. Cello wrapped with envelope.